In the heart of a peaceful, protected, sun-drenched environment, the camping Saint Louis will lend your holidays a thoroughly southern flavour! Here, at the Yelloh! Village Saint Louis, you'll find a wide range of upmarket accommodation options, plus an exceptional aquatic park in a shady setting sprinkled with little valleys, among the mimosa-covered hillsides. Everything will be in place to make sure your camping holidays in Provence-Alpes-Côte d’Azur are truly unforgettable! 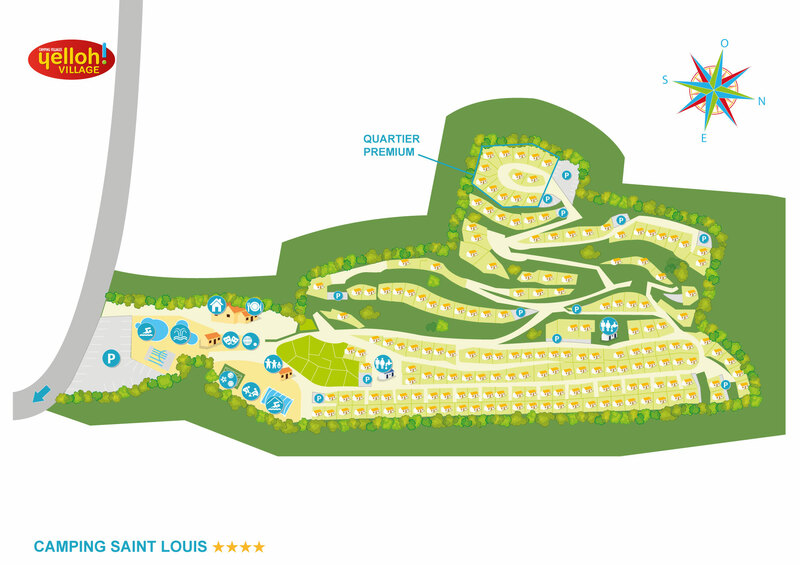 Serenity and pleasant times will be the watchwords for your stay at the camping Saint Louis! What could be better than camping holidays on the Côte d’Azur? Setting off for a camping holiday in Cannes means enjoying a dream holiday on the Côte d’Azur, between the mountains of the Prealps, inland Provence and the Mediterranean. During your camping holiday in Cannes, you can enjoy walking or cycling along the very numerous hiking trails of the Massif de l’Esterel and the Gorges du Verdon, come and explore the really delightful little Provencal villages of St Paul de Vence and Tourrettes sur Loup, or make the most of the sunshine and beaches of Cannes and Nice. You could also travel on to Monaco, or even to Italy! So why not make the most of it by trying your hand at some canyoning or climbing? You'd be able to enjoy the sublime landscapes, with their southern colours and an atmosphere that is just so thoroughly Mediterranean! You'll also be able to take home some souvenirs of your holiday staying in the camping Saint Louis, including Provencal wine, perfumes from Grasse, craftworks from Le Cannet and plenty more! This region just has so many wonderful things for you to discover! So take the pleasurable option and head south by choosing these camping holidays on the Côte d’Azur!